1. Congrats to David Gerrold and Tananarive Due for a wonderful job hosting the Hugo award ceremony! Some of the puppies were complaining that the hosts would use their platform to take shots at the Sad and Rabid Puppies and their works. I’m glad (and utterly unsurprised) to see those fears were nothing but paranoia, and perhaps wishful thinking on the part of those trying a little too hard to portray themselves as victims. Gerrold and Due both care a great deal about the Hugos, the genre, and the community, and that showed. Thank you both for your professionalism on stage after a very challenging lead-up. 2. 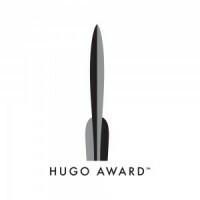 At least three puppy nominees won Hugo awards. 3. At least one category went to No Award. 4. A number of puppies came in below No Award in the voting. Some people will point to this as evidence that Hugo voters don’t like slate-voting, and/or proof of the low quality of much of the puppy-nommed work. Others will point to it as proof that the SJW cabal still runs the Hugos, and worked to keep the Wrong People out. 5. The non-puppy nominees did quite well. Congrats in particular to Cixin Liu and Ken Liu in the Best Novel category for The Three-Body Problem, which narrowly beat out Ancillary Sword and The Goblin Emperor. 6. Various puppies immediately ran to the internet to declare victory. This was an easy prediction, since a number of folks have been declaring victory for weeks or months now. Because losing the Hugos proves their point that the game is rigged against them! Winning the Hugos proves their point that people really want to read their kind of stories. No Award is what they wanted all along, because it’s actually about destroying the Hugo awards. In addition to these old and surprisingly mobile goal posts, there will also be crowing about who was kept off the final ballot by the puppy slates, because it’s actually about rocket-blocking those evil SJWs. 7. Wesley Chu took home the Campbell Award. It’s not technically a Hugo award, but it’s presented at the ceremony, and I think Wes is going to be rocking that tiara. 8. The Puppies will return for at least one more year, but they won’t have the same impact. Given the amount of attention it brought him, I have little doubt that Theodore Beale will launch Rabid Puppies 2016 and try to repeat this year’s performance. The Sad Puppies have chosen their spokesperson for 2016 as well, but after the backlash they received this year, I expect the sad side to start to quietly move on. So we’ll have at least another year of puppy slates, and they’ll probably get some nominees on the ballot again, but it won’t be a repeat of 2015. 9. Someone will try to run a counterslate in 2016. It will fail. Slates and counterslates are, in my opinion, a really bad idea. That won’t stop someone, somewhere from trying to run an anti-puppy slate. But it will be condemned pretty broadly, and won’t get any real traction. 10. Fandom and the Hugos survived. This year did not break the Hugos. It did not destroy fandom or the genre. It did expose a lot of anger and emotion, and led to tens of thousands of hours of lost productivity for people trying to read every last update and/or respond to every comment. Because no matter what “side” you’re on, at least we can all agree that 20th Century Fox really needs to stop trying to make Fantastic Four movies. Bonus Prediction: If I’m right about some or most of these, some dumbass will point to it as proof I’m part of the SJW cabal rigging the results ahead of time. If you’re right about some or most of these, I’ll be the dumbass to point to it as proof that you are, in fact, a Time Lord. there will also be crowing about who was kept off the final ballot by the puppy slates, because it’s actually about rocket-blocking those evil SJWs. I also expect that were you to do a stats on a reconstructed Puppy-free ballot, that it’d do a little better at gender parity. At this point, isn’t the bonus prediction not even a prediction? Presumably, that’s just a guarantee. If it hasn’t happened already, it’ll happen eventually. And how sad is that…? Only one missing event: Mike Glyer posts all the results and a bunch of the responses on FIle 770 where we continue to discuss at great length, not to mention the results of the voting on E Pluribus Hugo (which, even if passed, would not be ratified until next year). And my TRB pile continues to grow because dang, so many great recommendations pop up in the discussions over there. A certain bonus prediction, I am afraid. Likewise, my salutations to the moderators of Internet fora who will sigh deeply and throw open the threads and wait for the spleens to be vented and the fires to burn themselves out. And that one filk set to “We Didn’t Start The Fire?” That one is gonna be gold. *I have absolutely no proof this would have happened, nor who it could have been, I just think the universe loves irony. I’m not sure about the Three Body Problem. I’m willing to bet on Goblin Emperor, and if it comes in second it will be close. I expected to vote for Ancillary Mercy because I really loved it (better than the first, which seemed like mostly setup to me) but Goblin hooked me. Gabriel, you mean Ancillary Sword, right? Mercy not being out yet? Although, I am really looking forward to that as well. Novel is going to be a close one this year with those three, for sure — and would have been sans canines. Other than that, we may either have proof of Jim’s psychic ability, his time-travel device, his SJW cabal-ness, or just the fact of being a smart guy who’s read a lot of stuff. I don’t think he’s going to be completely wrong. And I think we can all agree on that Fantastic Four postulate. Yikes. Let’s unite around that thought. We need bigger damn cabals to stop these tragedies from happening. Ah, but there is a pretty good Fantastic Four movie. It’s called THE INCREDIBLES. Not made by Fox, therefore Jim’s point is confirmed. The Flash pilot in short form is another plausible puppy win. Possibly the best test of their strength with no award use minimized. I can’t honestly credit the BPD part of the ballot to the pups because while it was easy to recognize that certain written fiction works were jammed onto the ballot, all of the successfully slated BDP-Long nominees (“The Lego Movie”, “Guardians of the Galaxy” and “Interstellar”) would have almost certainly made the ballot anyway. This is one of the few categories where a work on both pup slates (“The Maze Runner”) missed the ballot as did rabid-slated “Coherence”. I think Novelette will likely no-award, too. None of the stories merited nominations, IMO. Sad Puppies will continue. Why? Because many people in the general SF reading public have become aware that you can spend $40 and vote for a Hugo. Until this year, I did not know that Hugos were fan awards. I just knew that I disliked pretty much any novel that won a Hugo in the last decade. I used to take a “Hugo” nominated novel as a sign of quality – but that stopped many years ago. Hugos are fan awards – voted on a tiny, tiny slice of fandom. Worldcon is tiny compared to DragonCon or ComicCon. I seem to be one of the few who have read both the pro-puppy and anti-puppy material. The only novel that has gotten positive commentary from both sides is the Goblin Emperor. Given how strange the Hugo voting procedures are – I’m not sure it will win. But Goblin Emperor has been strongly praised by both factions. In Novelette – I really enjoyed Triple Sun – A Golden Age Tale. But if you read the nominees and hated all of them, a “no award” is understandable. I voted this year for the first time. I did not nominate anyone because I found out too late. I have become soured on Tor due to the unprofessional comments of some of their senior editors and the milquetoast subsequent apologies. I contacted the only author that I’ve purchased many Tor books from (30+ in hardback) and that author responded that if they had the option they would leave Tor. If something is on the borderline for me in the future, I won’t buy from Tor. Why? – I dislike giving money to people who hold me in contempt. I think you’ve answered a question I’ve had for awhile with prediction #5 but I’m going to ask anyway. Does the translator of a work get a Hugo along with the writer? Seems to be pretty widespread predictions that Best Novella and Best Related Work will probably go to No Award, that “Voice of God” will place below No Award in both his categories, and that John C Wright will place below No Award multiple times. If Best Short Story doesn’t go to Kary English, then I’d say it’ll definitely go to No Award. I think it’s a toss-up, because many readers seemed to think that, although “Totaled” is a good story, it’s not an award-quality story, and they didn’t want to award it a Hugo simply because the rest of the Puppy-swept category was otherwise so weak. So I wouldn’t place a bet on which way it’ll go. The Best Novelette category seems like more of a shuffle (some people like some of the entries), but I think there’s a possibility here, too, of No Award. I also think that Laura Mixon is the only nominee with a shot at Best Fan Writer; if she doesn’t get it, I think it’ll go to No Award. And keeping mind the paranoid accusations the Puppies are prone to making, I hereby add my standard disclaimer: I have absolutely no inside information or indications whatsoever, and I have no influence on the awards whatsoever. My predictions are based entirely on my observations of public internet discussions that anyone with an internet connection can see. Oh, and I think prediction No. 8 is correct–I think 2015 will prove to be the peak year for the Puppy Effect, but Puppying will go on for another couple of years. I’m not 100% sure, to be honest. I think so, and I rather hope so, but I can’t say for certain. I haven’t found a rule on the Hugo site to confirm one way or another, but the fact that the nomination listed both author and translator makes me think so. In my opinion the only real problems with Hugos before the Puppies was that they’d become quietly and implicitly political in the early 00s. Something like Starship Troopers or Ender’s Game wouldn’t have a chance nowadays for reasons wholly unrelated to the quality of the work. The one good thing the Puppies did is make that implicit politicization of the awards explicit. 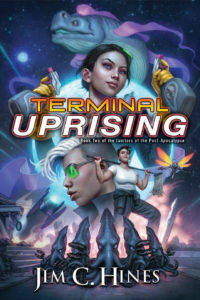 I’ll just say this, I’ve seen plenty of people speak ill of the Puppies and why their works should not be voted for, but shockingly few of them have done so in terms of the works themselves, but rather because of either the author’s politics, the mere fact of being a work the Puppies selected, or being associated with Vox Day through being on the slate and therefore being guilty by association with Vox Day’s politics. It’s bizarre to me that someone might look at an award for, say, Best Novel and discuss who should win based on the politics of the authors rather than the content of the novel itself. We must be looking in different places, because I’ve seen an awful lot of people discussing the merits — and lack — in the puppy-nominated works. Am going to ask Jim for tips on Oscars, Kentucky Derby, etc.